Where's "Z1" TDC mark on my 3.2? I'm doing 1st valve adjustment on my 87 3.2 and looking for my "Z1" mark on the pulley (see Pelican valve adjust article), but there isn't one. I have 2 notches and the left one, when lined up, shows the rotor to be about 1/8 CCW off the distributor mark. The valves for #1 cylinder do give a wiggle. But with the distributor mark being a little off, and 2 unmarked pulley notches not being what I'm used to seeing, my confidence was low. Is this normal on 3.2and am I safe to proceed, or does this mean something is timed wrong. Car runs fine. Help. Oh yeah, anyone else doing the 10-11 July DE at Willow? Here's what I learned: look at your distributor timing spec. If, for example, your timing is to be set at 5 degrees AFTER TDC, then the Z1 mark is to the right, or BEFORE, the ignition timing mark. This varied from different years, so don't believe people when the say it's to the right, or left. I used the left mark of the two as TDC, everything else was the same and it came out OK. Relax and take your time, it is easier than you think. I need to do this in the fall. There is no Z1 mark??? 1997 Jeep Wrangler "The Tick"
The Z1 engraving on the 3.2 pulley is very hard to see from the top. 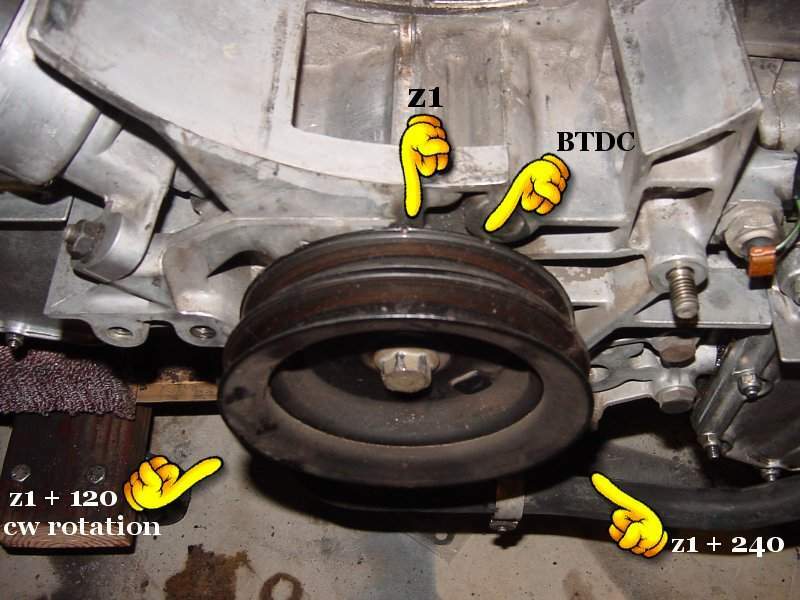 To find it, turn the engine clock wise, there will be 2 closely spaced marks on the main pulley, the first one is the timing mark Before Top Dead Center (BTDC), and the second one is the Z1 Top Dead Center. That would be where 1 or 4 is at TDC. Last edited by einreb; 07-02-2004 at 07:12 AM.. 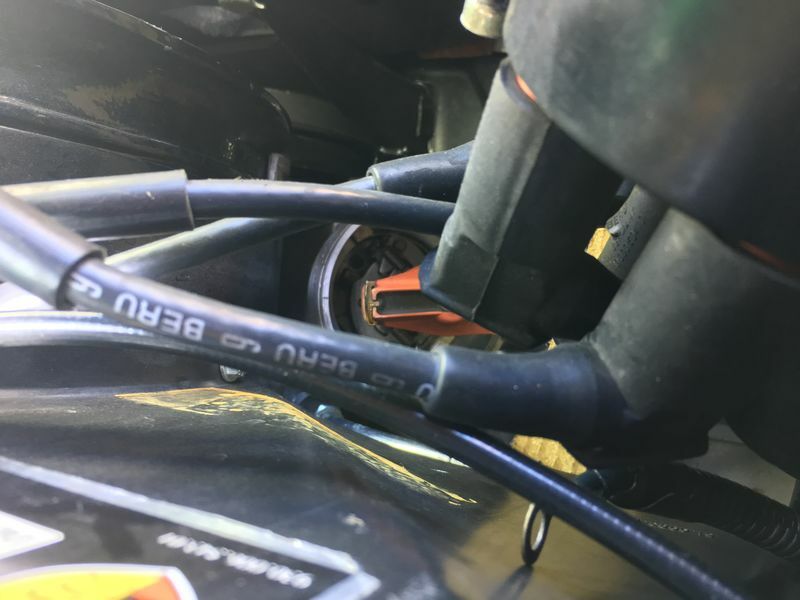 Pull the cap off your distributor and you'll see a notch located on the lip of the distributor. 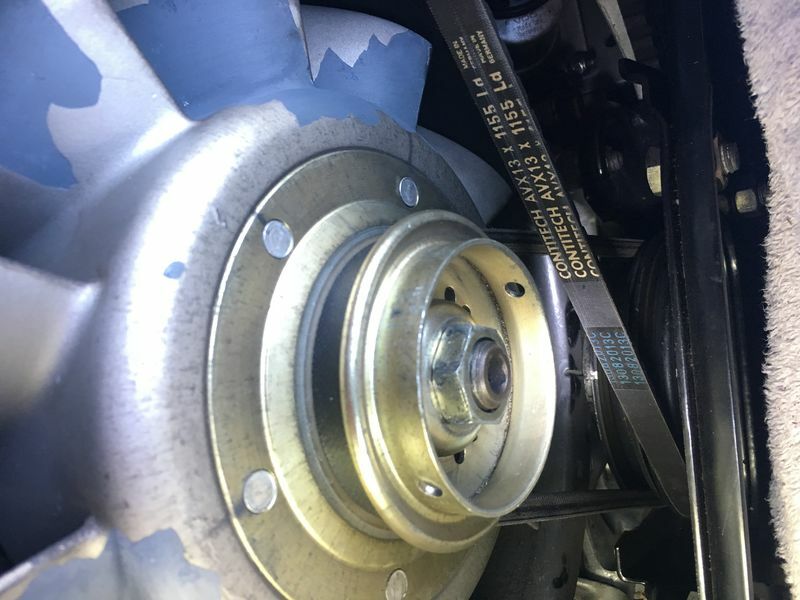 Turn your engine until the rotor points directly at this notch and look at the corresponding mark on your main pully and it should line up directly with a mark on the fan housing. That's TDC. We still have 2 opinions on where the distributor mark should be. One says slightly off, one says right on. I know the Motronic handles the timing, but I just wanted to make sure the static timing was ok. Oh, and superb pic! The left mark is Z1, as I thought, but you helped confirm. Thanks for the help guys. Bottom line I guess is that cam overlap will allow us to set any valve that can be wiggled as long as you are near TDC on that cylinder. My dizzy rotor is not pointed directly at the mark on the dizzy. Thanx for your pics and help. Jobs done, just gotta button it back up and I'm ready for Willow on the 10th. The rotor will NOT be pointing directly at it. That is because the ignition will likely happen as the edge of the rotor approaches the wire pin location. When I did my valves this spring I started to worry that the distributor wasn't exactly at the mark when I had the Z1 mark. The guy helping me said it was OK and the valves came out great. Use the Z1 mark on the pulley and the distributor will be close but not exact. The dizzy mark is just a start guide to get things lined up. The important next step is to line up the marks on pulley and fan housing. Do it on a nice day with some cold corona beer! Ok guys does this look correct for the TDC Z1 mark on a 3.2? 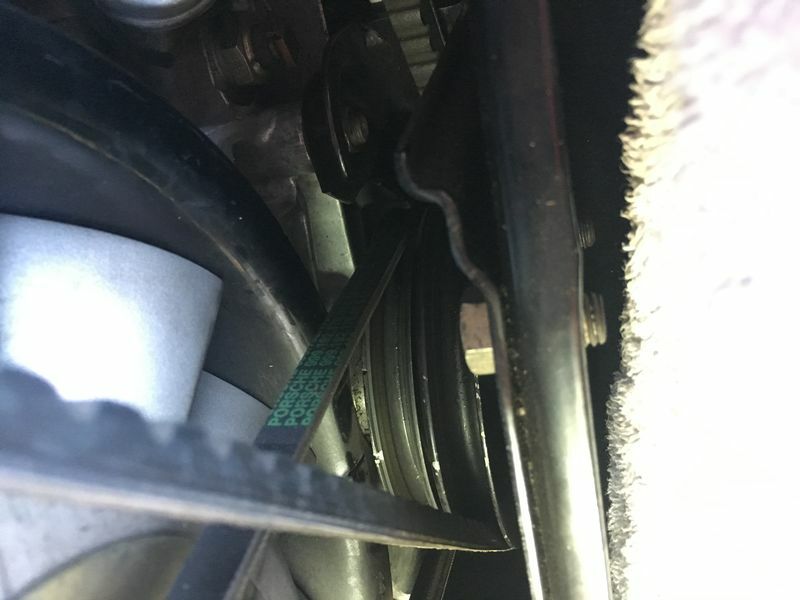 Doing my first valve adjust on this engine and want to be sure. Yes, you are positioned at TDC. Just double-check that the intake and exhaust rockers are able to move. The exhaust valve rocker can move and I can get the blade in between the rocker and valve. The intake rocker moves but I cannot get the blade in between the rocker and valve. Not sure if the clearance is just too tight and I need to loosen or if I am maybe not on the TDC Z1 mark and should bump the pulley slightly?